Fidget Spinners, Stimming, and Anxiety: What’s the Big Deal? - Anglia Counselling Ltd. So, what’s the real story behind this? Depending on who you listen to, fidget spinners are either toys, learning aids, or pestilential nuisances. The devices have three prongs, which spin around a weighted base when flicked or fiddled with in the fingers. They’re small, and can be bought at pocket-money prices (although special editions and ‘collectable’ spinners are trading for surprisingly large sums on eBay). While the concept isn’t much more complicated than that of a spinning top or a yoyo, fidget spinners have crept into classrooms with the claim that they can aid children with learning, behavioural, or mental health difficulties. 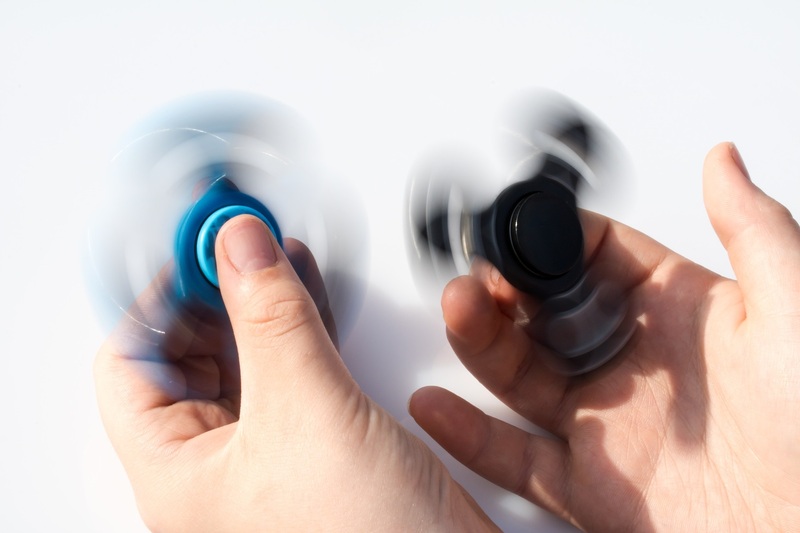 However, many classrooms have pushed them right back out of the door, saying that they’re a noisy distraction and interestingly, some parents (of children with ADHD) have responded to these bans with anger – prompting some schools to take out insurance against fidget spinner-based lawsuits. For children with behavioural, learning, or mental health difficulties, the theory runs that fidget spinners provide a form of ‘stimming’. Stimming – formally called ‘self-stimulatory behaviour’ – usually takes the form of repetitive physical movements which the ‘stimmer’ finds calming. Everyone ‘stims’ to a certain extent; many of us bite our nails, rub our faces, or pace around when we are in distress. However, the behaviour tends to be more pronounced, prolonged, and diverse among individuals with autistic or attention-deficient traits. Opinion remains divided about what, precisely, stimming does, but many believe that it provides sensory input which essentially ‘distracts’ from distress. This allows the individual to refocus their attention, which calms them. For individuals with autistic traits, stimming can provide relief from a sensory environment they are finding overwhelming. For individuals with anxiety, stimming could provide an external focus away from internal turmoil. As most of us start to ‘stim’ without really knowing we’re doing it (wringing your hands when worried, for example), it is clearly a deeply ingrained part of our stress-response. However, the use of stimming in a therapeutic context remains a controversial area. For many years now, the reaction of the therapeutic community towards stimming has been negative. Slowly, this is starting to change. 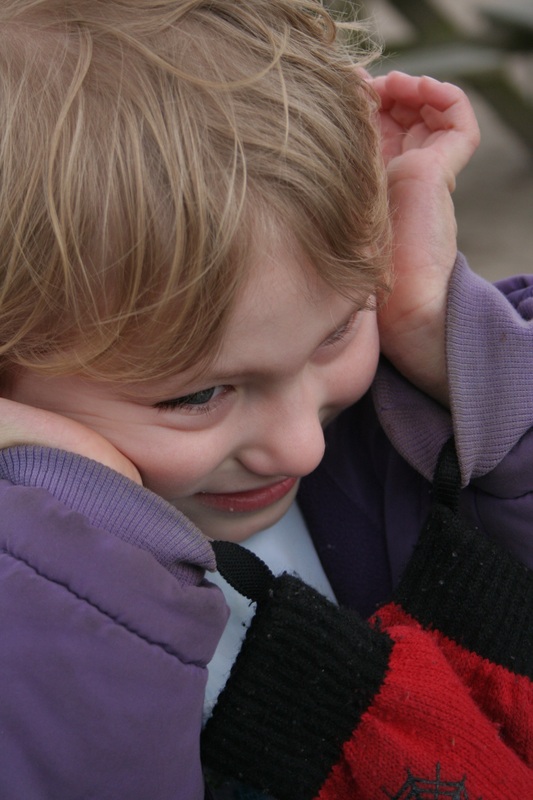 Because the stimming behaviours of some autistic or developmentally challenged children can be loud, or disturbing to watch, efforts used to be focused upon curtailing the behaviour. Children have been forced to sit on their hands, punished if they ‘stim’, or even physically restrained. However, research into the phenomenon is increasingly showing that stimming does have tangible benefits. It enables people to self-soothe, and to refocus in ways which would not otherwise be possible. Nonetheless, the issue of disturbing others remains. In a classroom situation, children who stim loudly or distractingly pose a threat to the learning experience of their fellow students. Teachers and caregivers tend towards providing a non-distracting stimming outlet – something which allows the child to self-stimulate without disrupting others. In theory, fidget spinners provide just this outlet – but reports from teachers indicate that their widespread use has begun to make them more of a distraction than a therapeutic tool. However, if nothing else, fidget spinners have brought the debate about stimming, self-calming, and so on out into the open. Perhaps the scrutiny under which fidget spinners, their alleged therapeutic properties, and the needs of anxious children are being placed will enable us to learn more about this phenomenon. Hopefully, the end result will be greater understanding, and an enhanced idea of how we can treat people who ‘stim’, or who need to ‘stim’, with the helpful respect that they deserve.